Trade Promotion Spending is often the second largest expense on a Food & Beverage manufacturer's P&L. Use the iTPM solution to manage the entire life-cycle of your trade promotions and manufacturer charge-backs, including deal planning, promotional settlements, short-pay and deduction resolution, post-promotion analysis and budgeting. 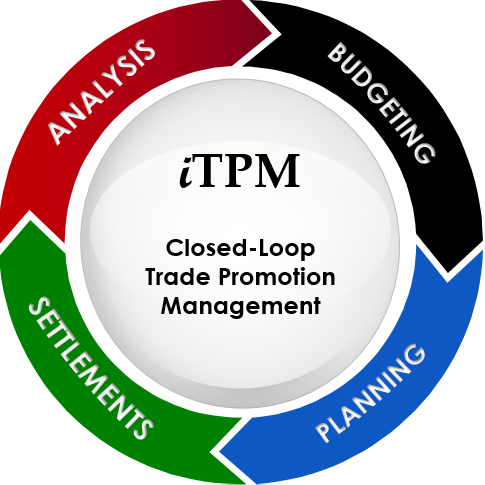 What is Closed-Loop Trade Promotion Management? iTPM addresses the top 5 TPM CG Manufacturer challenges. Go live with iTPM in 4 weeks or less! Keep up with iTPM news.